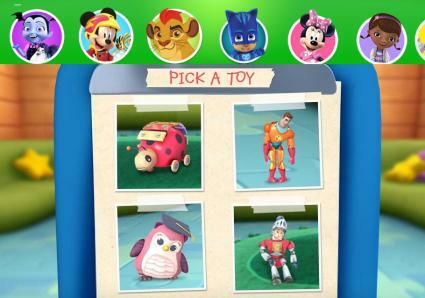 Thanks to Disney kids' games, you can bring the Disney characters right into your home for interactive fun. All of your children's favorites, including the Disney Princesses, Mickey Mouse, and Star Wars, are available for your family's gaming pleasure. Find some of your favorite Disney games on different game websites and apps. If you are looking for official Disney video, online arcade, or fashion games, you can try Disney LOL. This website offers dozens of character games that cover fashion, racing, coloring and action. While these games don't require any login, you will need Adobe Flash software. Additionally, these games are played completely online. Check out a few favorites. 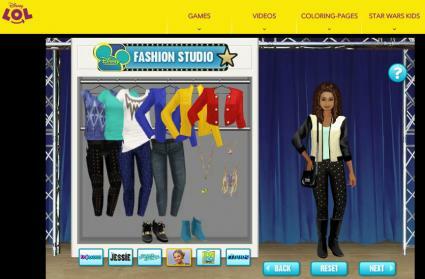 This fashion game is designed for kids ages 7-12. Kids will pick a model and design her outfit. Kids can design the outfits from shows like Jessie, Ant Farms and Liv & Maddie. Your little fashionista can also mix and match looks. Part of their Disney XD line-up, Rogue One: Boots on the Ground allows you to complete missions in the Rebellion. You have the choice of choosing from characters like Baze Malbus and Cassian Andor. Given the strategy involved and the reading level, this will work best for kids 9-12. It can also be fun for teens as well. Part of the brain games, Pirate Fairy Code is based on the movie Pirate Fairy. This logic game uses word scrambles and puzzles to get you through the game. Most of the words are based on information found in the movie but it works great to push spelling. Not only are kids learning but having fun too. Since the vocabulary is more advanced, this will work well for kids 10-12. Gravity Falls buffs might enjoy this racing game from Disney. Help Stan escape and earn points through dodging cars and collecting cash. This fun race game uses basic graphics, but the colors and simplicity are something that even younger kids will enjoy. Try this game with kids 7-10. For younger kids, you might try official Disney Junior games. Designed for kids ages 4-8, these games use characters like Doc McStuffins, Sofia the First, Lion Guard, Sheriff Callie and Mickey. All the games are click and play and do not require registration. They can be played on a tablet or computer that has Adobe Flash software and internet access. The Lion Guard Assemble game takes Kion through different obstacles that he must jump and run through. You also need to try to avoid boars and rocks. The game provides visuals for kids to learn to play. There is very little reading required. In this Flash game, kids can gain an understanding of what it is like to work in Doc's clinic. In this game, kids will pick a broken toy and various medical tools and use them correctly. For example, using the stethoscope on the toy's chest. The game provides lots of audio and visual instructions for kids to use the tools correctly. Learn sorcery with Sophia at Royal Prep. This fun visual game offers visual problem-solving games like fitting pipes together to complete the potion making beaker. The game offers visual instructions in addition to written instructions for older children. There are also different storylines that kids will enjoy watching. 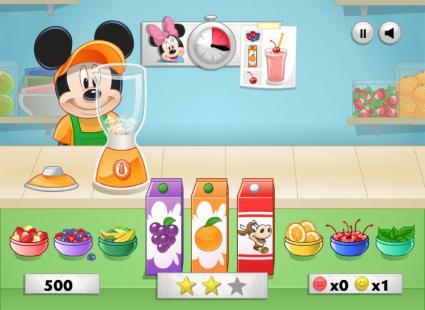 In this game, Mickey is trying to impress his customers by making smoothies. You're trying to get stars by making customers happy. To play, kids need to take orders, mix the ingredients and put in a cup all before the timer goes off. Kids 5-10 can enjoy this game. Race fans will use arrow buttons or touch screen to race Lightning. In addition to racing, you want to hit coins. You can also soup up your engine, tires and more with the money you earn. The ease of play makes it fun for kids as young as 4. Phineas and Ferb fans can follow Agent P as a rebel spy. In addition to infiltrating a rebel ship, Agent P must collect Rebel symbols while finding blaster guns to use. Given the content, this game might work better for older kids from 8 up. Fashionistas this is your game. You will work to dress up Elsa and Rapunzel as they compete for the same prince. 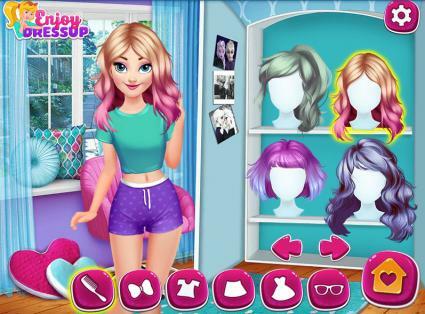 After you choose your princess, you'll want to dress her up to look amazing by selecting wigs, outfits, boots and more. For the little off-roaders out there, you might try Cars: Extreme Road Rush. Pitting Radiator Springs against Baja Pros, you choose your vehicle and different races. Wins can help you to open new levels. Are apps that you can download and play anytime more your style. Disney offers a lot that are available on both Android and Apple platforms. Most of the apps are completely free, but you will need to download them on to your tablet or smartphone to play. 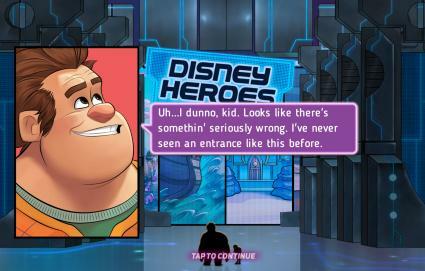 Rated for 9+, this game allows players to fight corruption in a digital city with some of their favorite Disney characters like Wreck-it Ralph and Mr. Incredible. You'll get to complete missions and special campaigns to collect virtual currency that helps you to progress in the game. Play for free from Google and iTunes. Kids 4 and up will love this matching game that allows them to collect emojis from their favorite Disney characters. Found on the Apple Store and Google Play, the game has missions and timed matches. Kids can even chat with their emojis. A fun puzzle game that is rated for Everyone, Tsum Tsum has you collecting and popping some of your favorite Disney characters. Based on the Tsum Tsum plushes, you collect three to pop them and get points. The more you collect the higher your points. Not only can you find Disney character games on their official website, but you can find interesting Disney games with some of your favorite characters all over the web. The audience of the games vary but the fun is constant. Find your favorite kid game and get playing.